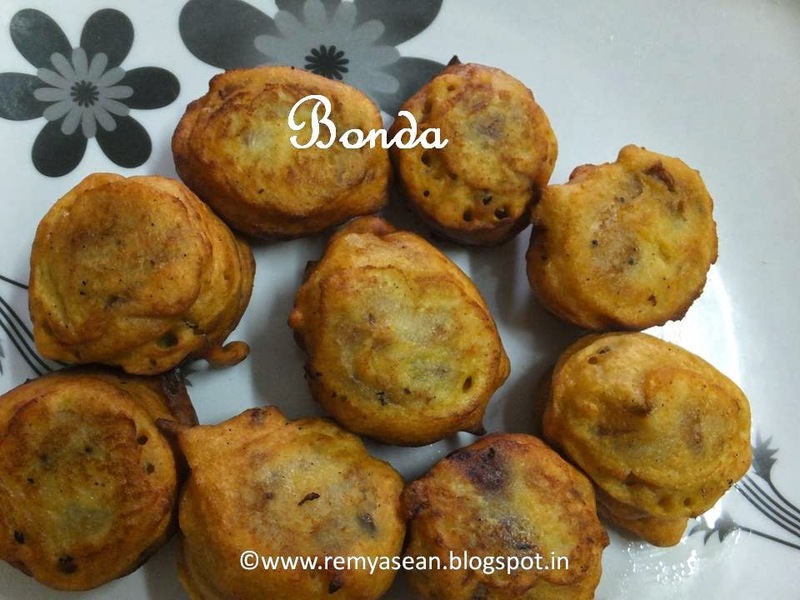 Bonda doesn't need any introduction..potato bonda with hot tea!!!!!! !It is a staple food of village tea shops in kerala.Easy to make and tasty to eat!!!!!!!! 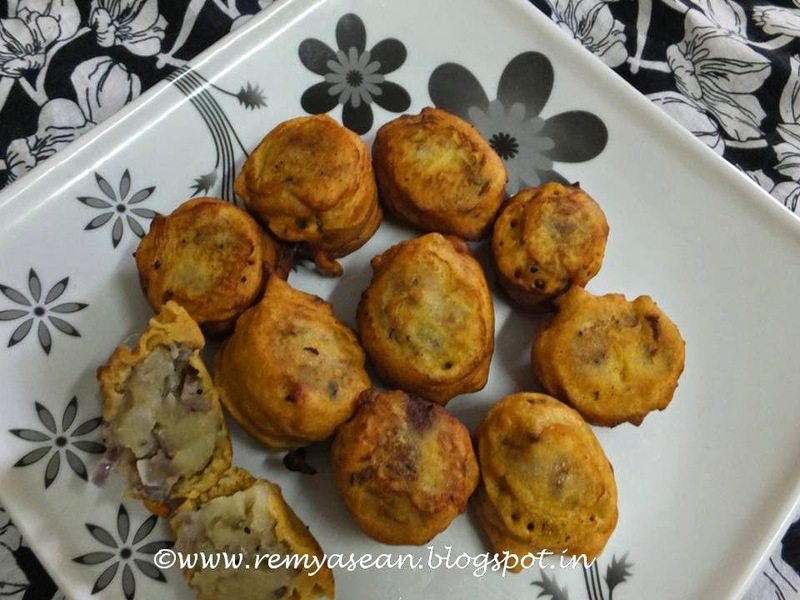 For long time I kept this recipe in my draft and totally forgot about it!Today I prepared bonda for evening tea then remembered about it. Boil potatoes peel the skin and mash it well.Keep it aside. Add mustard and let it splutter. Add cumin seeds if you are using. Add chopped onion green chilly and ginger. Saute it well for few minutes. Now add mashed potatoes and salt. Mix everything and remove it from fire. Now mix all the ingredients listed under "for batter".The batter should not be too thick or too loose. Heat the pan with oil.Keep it in medium flame. Make small balls with potato mixture and dip it in the batter. Carefully drop it in to hot oil.